Ina Coleman (MBA 1986) found her professional calling by empowering others to take action for gender equality, inclusion, and diversity in their work environments. An organizational development consultant at Sirenia Partners, Coleman works with companies, nonprofits, and other organizations to demonstrate how they can be more innovative and successful by fostering a diverse and inclusive workforce. Coleman, who previously was managing director of the Nobel Peace Prize–nominated Feminist Majority Foundation, believes diversity makes companies smarter. “Decades of research by sociologists, economists, organizational scientists, and demographers show that socially diverse groups––those with a diversity of race, gender, ethnicity, and sexual orientation––are more innovative than homogeneous groups,” Coleman says. “By interacting with individuals who are different, group members are motivated to search for novel information and anticipate alternative perspectives, leading to better decision making, problem solving and innovation. Time and again, analysis confirms this improves the bottom line of companies. Coleman began her career working in the entertainment industry and in real estate development. In both, she watched as many qualified women were passed over for the promotions they had earned, were paid less than male colleagues in identical positions, and were disregarded and dismissed because they were female. “Great leadership is not limited by gender or race; it is limited only by opportunity,” Coleman observes. She is also keenly aware that while people of color represent more than 39 percent of the US population and women more than 50 percent of the workforce, neither group comes close to those figures in workplace leadership. 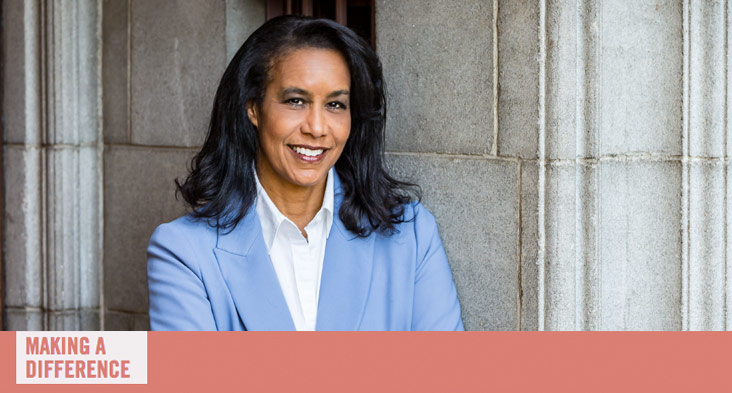 In addition to her work at Sirenia Partners, Coleman serves on the Los Angeles World Affairs Council board of directors, and the advisory boards of Stanford University’s Council of the Humanities and Sciences and its Clayman Institute for Gender Research. She also serves on the advisory board of the USC Annenberg Center on Communication Leadership & Policy, and, Harvard Business School’s Board of Dean’s Advisors.